WATCH If couple wins case, would embryos be legally considered a person? An Ohio couple who lost their fertilized embryo when the tank it was being stored in failed is asking an Ohio court to declare the lost embryo a person, rather than property, Cleveland.com reported. 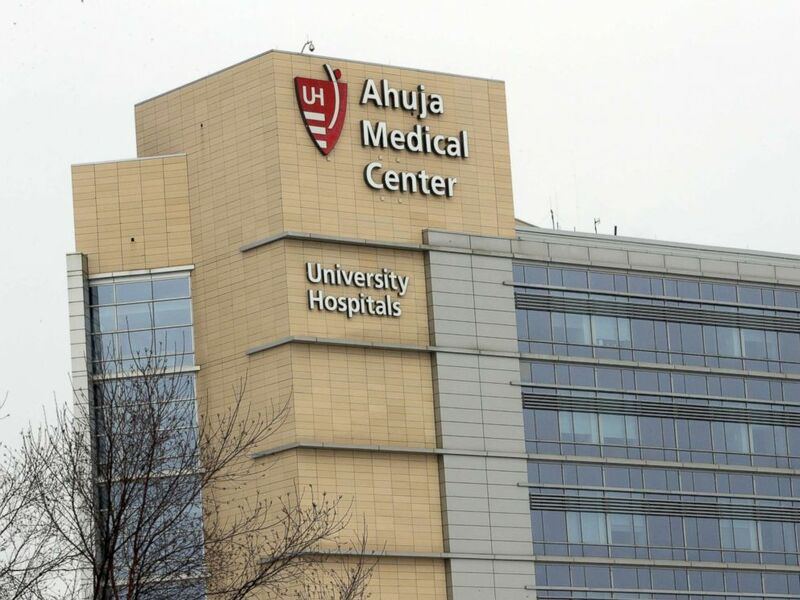 In early March, about 4,000 frozen embryos being stored at the University Hospital Ahuja Medical Center in Beachwood, Ohio, were lost. Custom Biogenic Systems, the company that supplied the storage tank to the hospital, said in April after an initial review that it was likely due to human error. Wendy and Rick Penniman, among the hundreds of couples who lost embryos, filed a complaint against the hospital on March 30 in Cuyahoga County, asking for a judge declare that "the life of a person begins at the moment of conception," therefore making "the legal status of an embryo is that of a person," the court document states. In an effort "to have a child at a later date," the couple had begun the process of in vitro fertilization, harvesting and fertilizing the eggs and "safe guarding them" in April 2014, according to the complaint. Wendy Penniman then had three "viable" embryos frozen, court records show. 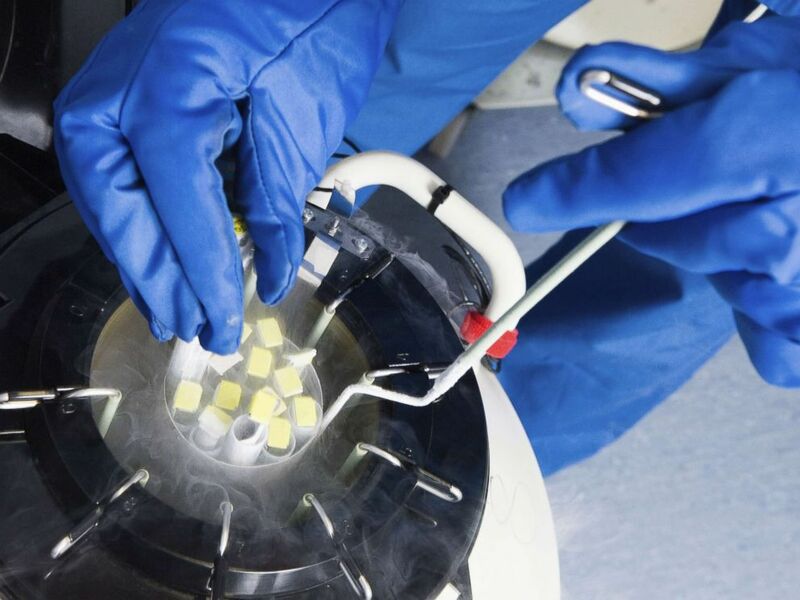 Frozen embryos and eggs in a nitrogen cooled container are pictured in this undated stock photo. The storage tank that the embryos were stored in experienced a "significant temperature increase" on March 3 of this year, which destroyed the viability of the embryos, according to the complaint. Although the hospital "publicly" took responsibility for the tank failure, the Penninmans accuse the hospital of treating the embryos as "chattel" rather than patients, according to court filings. The hospital is "simply offering to reimburse" the couple for cost of the production of the embryos, according to the complaint. "They've essentially denied her the ability to continue motherhood," Rick said in an interview with "GMA" scheduled to run today. Added Wendy: "Although we're still grieving, we're at the point where we're just ready to take it as far as we need to because it's the same way that we would fight for our children that are here and fight for the ones that we've lost -- and do it for other parents too." On May 18, Cuyahoga County Judge Stuart Friedman dismissed the lawsuit, stating in his opinion that the couple's frozen embryo did not deserve the same legal protections as a child. "The parents may believe that the embryos they created are already persons, but that is a matter of faith or of their personal beliefs, not of science and not of law," Friedman wrote. Friedman is overseeing 60 lawsuits being filed against the hospital in Cuyahoga County, Cleveland.com reported. "They are of course entitled to mourn the loss of this potential, and even to feel the anguish of a parent who has lost a child," Friedman continued. "However, the court can deal only with rights and obligations that the law recognizes -- not with emotions, feelings or belief of individuals. 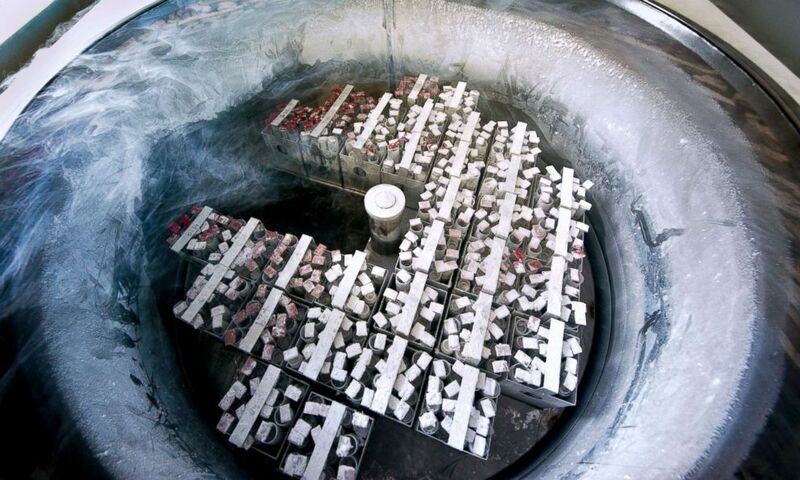 Doctors hands removing embryo samples from cryogenic storage, fertilized embryos are stored in liquid nitrogen filled tanks to keep them as new if patients require them at a later date. Now, the Pennimans are seeking a declaration from an appeals court that life begins at the moment of conception, making an embryo a person, according to Cleveland.com. The brief was filed with Ohio Eighth District Court of Appeals on Wednesday. The Pennimans "viewed the embryos as patients of [University Hospital], and should have been treated as such," the couple's attorney, Bruce Taubman, wrote in the brief, the local newspaper reported. The U.S. Supreme Court ruled in Roe v. Wade that a fetus is not a person, but the Ohio Supreme Court ruled in 1985 in Werling vs. Sandy that a viable fetus is a person and that a fetus begins at conception, according to Cleveland.com. This Monday, March 12, 2018 file photo shows the University Hospital Ahuja Medical Center in Beachwood, Ohio. The couple is willing to take their case to the U.S. Supreme Court if necessary, Taubman told the newspaper. "The Pennimans feel strongly about this," Taubman said. "A lot of the plaintiffs considered the eggs and embryos to be part of their families." A spokesman for University Hospitals of Cleveland said in a statement to ABC News that the hospital is "profoundly sorry for this family's loss" and "will continue to address the litigation based on Ohio statues and case law." "The previous court ruling on this matter reflects Ohio law with regard to embryos," said George Stamatis, media relations strategist for University Hospitals Cleveland Medical Center. "We will continue to address the litigation based on Ohio statutes and case law. We are profoundly sorry for this family’s loss. All of us at University Hospitals remain dedicated to supporting our patients, and we continue to work with the court and patients’ counsel to move these cases toward resolution." After the incident, the hospital said that the tanks were being filled manually by employees and that a remote alarm system on the tank -- meant to keep tabs on "temperature swings -- was not on. The temperature rose when the lab was not staffed, University Hospitals CEO Tom Zenty said in March. "We intend to continue to work with the tank manufacturer to ensure this does not happen again," Zenty said in a statement at the time. "We’ve been careful to not assign blame. But we’ve accepted responsibility. We will not comment any further due to pending litigation."